With all the current drama in world stock markets, it’s not unreasonable that a person will want to step back and see what happens – and trying to convince someone otherwise is a losing proposition. Based on current economic activity and conditions in the U.S., there is very little chance of a U.S. stock market crash occurring in the near future (though the scale of an “adjustment”, if such happens, is unknown) and it’s quite possible the current dramatic volatility may soon become a distant and irrelevant memory, as other short-term economic events often have. And besides U.S. economic conditions, there are the existing boom economic conditions in the Bay Area, which means our housing market may react differently. In any case, concerned home buyers and sellers should wait and see how things shake out. 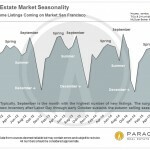 It may well be one of those blips that mean little and impacts the San Francisco market very little. Generally speaking, over the past 30 years, it has taken a literal stock market crash to severely impact our market values. 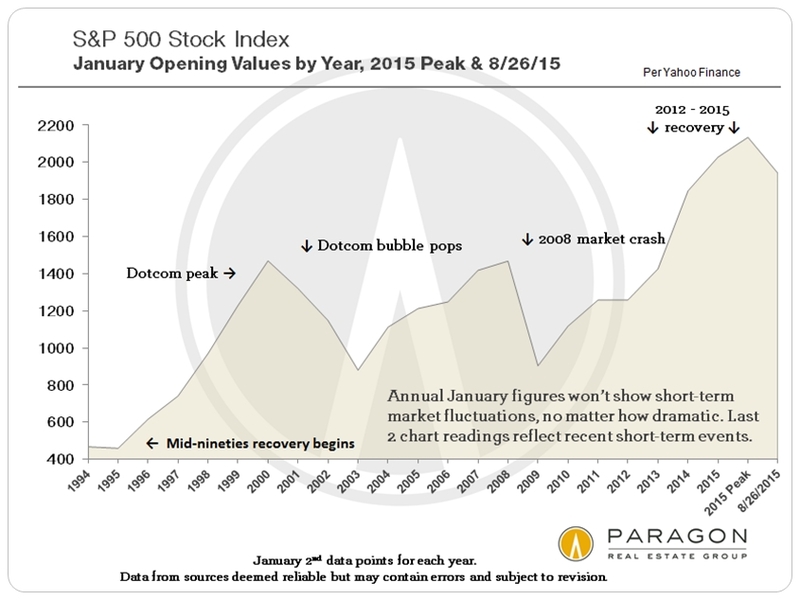 Of course, nobody has a crystal ball to know what the stock market will do. Also, where we are vis a vis what will eventually turn out to be the top of the market in our current cycle is totally unknown. Housing prices typically don’t react at all to short term ups and downs in the stock market, though depending on how dramatic they are, they can temporarily slow activity as buyers wait to see if something really serious, with long-term ramifications, is developing. It is generally the more affluent who step back and wait, since 1) they have much more wealth in financial investments (stocks), and 2) they’re much more tuned into financial market movements. Housing prices are not a liquid bid-ask market – we sell small numbers of relatively unique homes in San Francisco, not millions of uniform shares of stock – and sellers always react more slowly to economic downturns since they don’t want to reduce prices if they don’t have to, and no one can make them sell. Also, of course, there’s a built-in delay in sales between offer negotiations and closed transactions, so it takes a while for price movements to clarify. 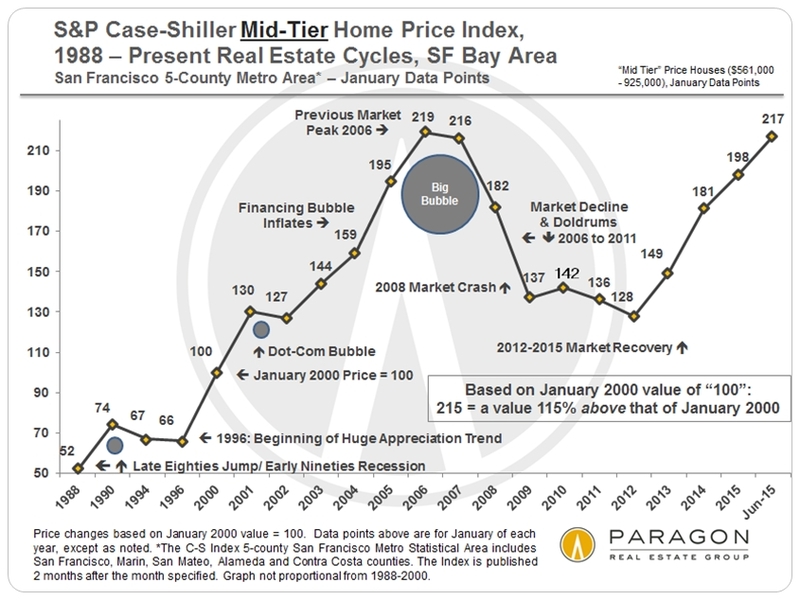 Generally, all market segments react to big, sustained, macro-economic events as can be seen in the 3 S&P Case-Shiller charts below for the low, mid an high-priced tiers of the Bay Area home markets. However, it is interesting that when the dot-com bubble burst, only the mid- and high-price tiers’ home prices were affected (and then, briefly), and the high-priced tier was impacted more than the mid-tier. The buyers in the high tier were much more affected in their wealth by the crash in the Nasdaq, especially in the Bay Area, and the most affluent buyers drew back the most as they waited to assess the shake out. 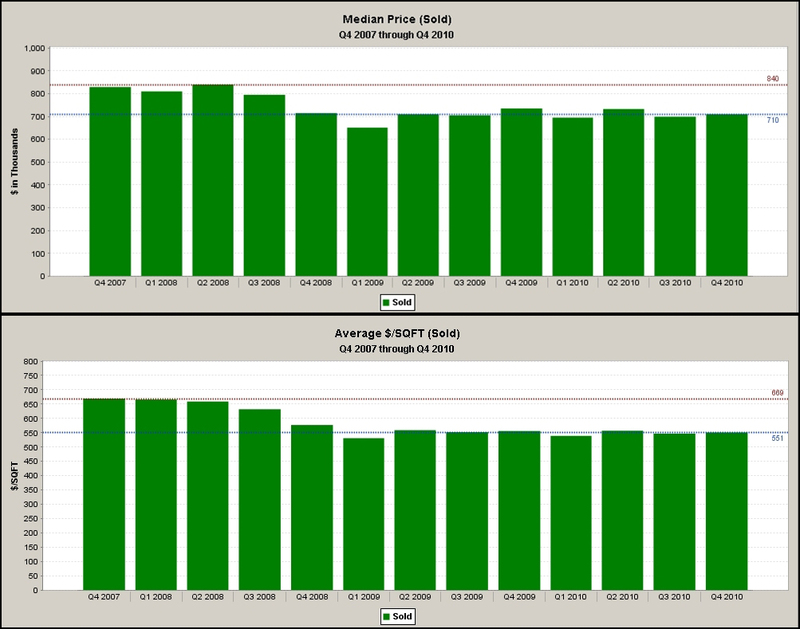 For what it’s worth, in the last cycle, our more expensive San Francisco neighborhoods were the last to peak in value in early 2008, and the first to recover in late 2011/early 2012. 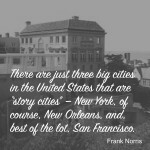 San Francisco was generally much less impacted by the bubble’s crash than the rest of the Bay Area, state and the country, though some neighborhoods were more affected than others. 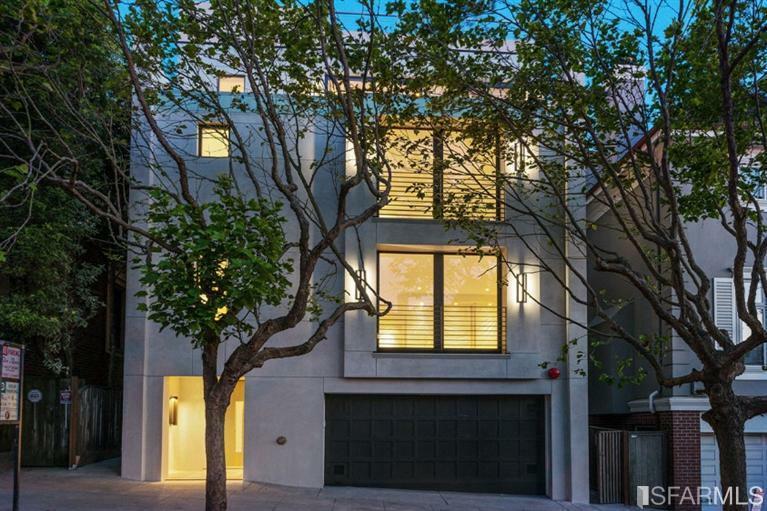 Generally speaking, San Francisco’s housing market has since appreciated well beyond its previous peak values. In the last bubble and recession, lower priced homes surged much higher and crashed much more dramatically than higher priced ones, but that was not because of the stock market, but because of the subprime loan situation which led to massive foreclosures in the lower end (with buyers who couldn’t afford the home they were buying in the first place). Subprime lending played a very small part in higher priced home purchases (which dominate in San Francisco), whose buyers also tended to be more financially savvy (and weren’t targeted by predatory loan brokers and generally didn’t buy homes they couldn’t afford). 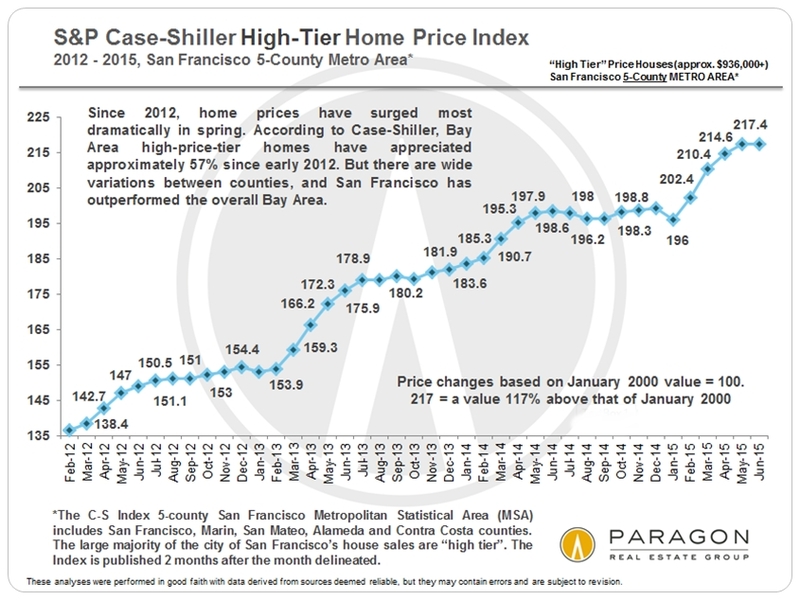 I’ll start out with our updated chart on the S&P 500 so one can compare the stock market to the various Case-Shiller Index Bay Area home price tiers. Again, different price tiers had bubbles and crashes of different magnitude due to the subprime financing (and refinancing) fiasco. And please note that while the latest stock market decline is indicated, other short-term fluctuations will not show up in year to year figures. 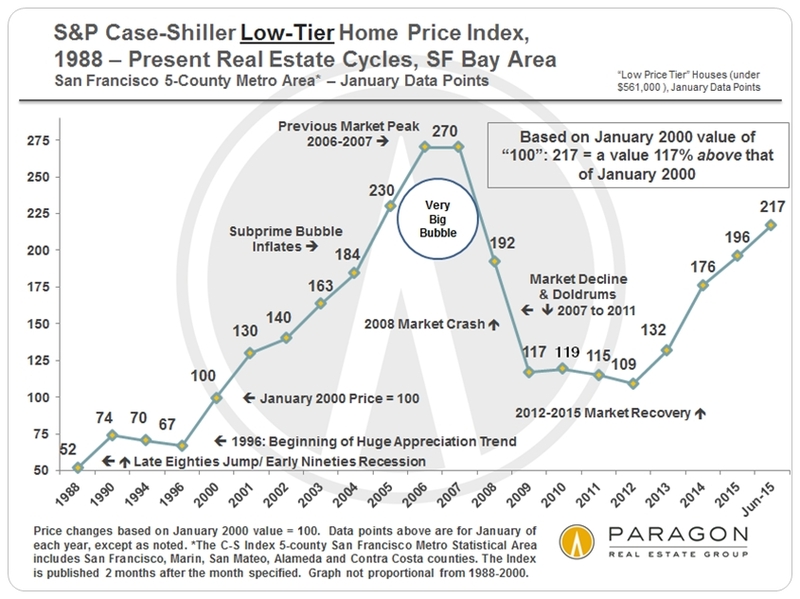 It’s interesting to note that all 3 Bay Area housing price tiers, according to Case-Shiller, are now showing a uniform 117% appreciation rate since year 2000. 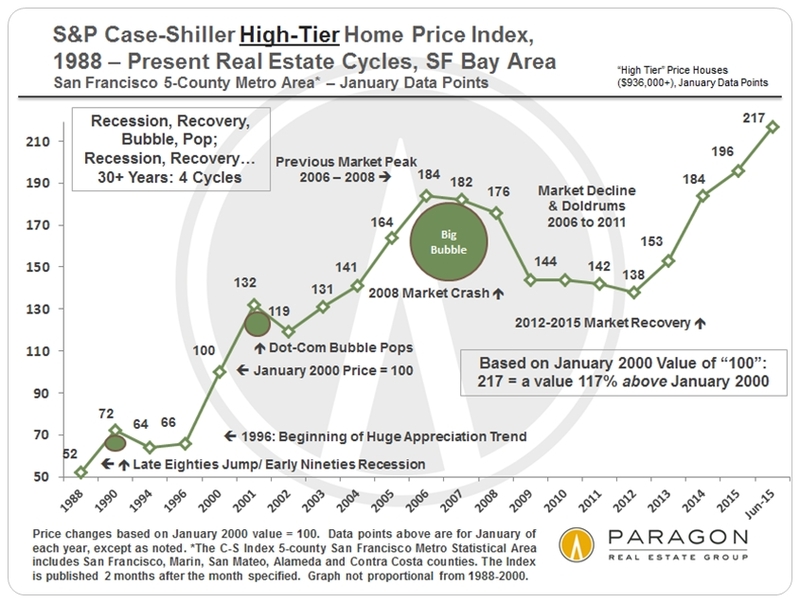 This chart below tracks the appreciation that has occurred in the high-price-tier market – which most of San Francisco’s housing is in – since the recover began in 2012. 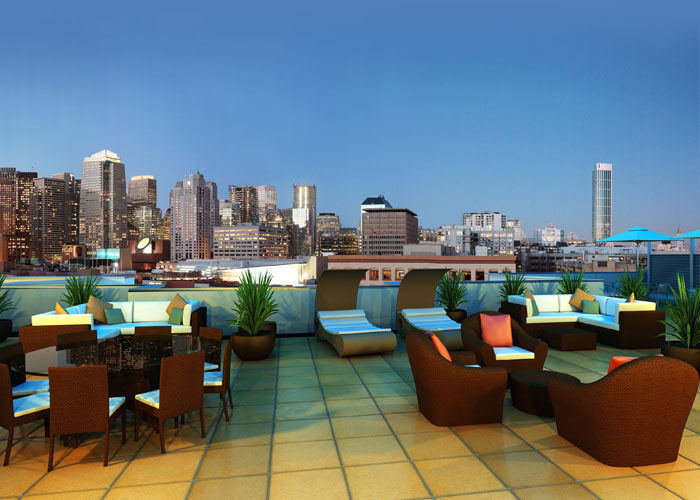 San Francisco Condos on the Rebound? Excellent analysis and great article Meredith!